The journey to achieving success in the business was however not easy. “As a new entrant into an established and saturated market, we faced many challenges in trying to get our name out there – we experienced everything from struggling to find supplies to not being able to participate in trade shows,” recalls Dhindsa. Despite all the obstacles, the group continued to persist in their desire to build a strong and trusting relationship with industry suppliers, and gradually, Van Gogh Designs became a familiar name within the industry. 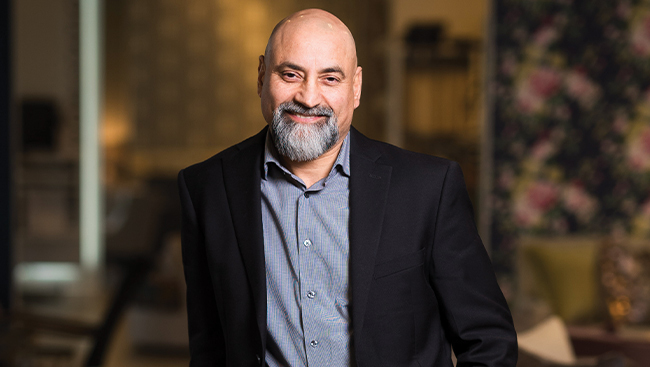 A turning point in the business came when Dhindsa and his team realized that providing higher-quality products would take them to the next level. 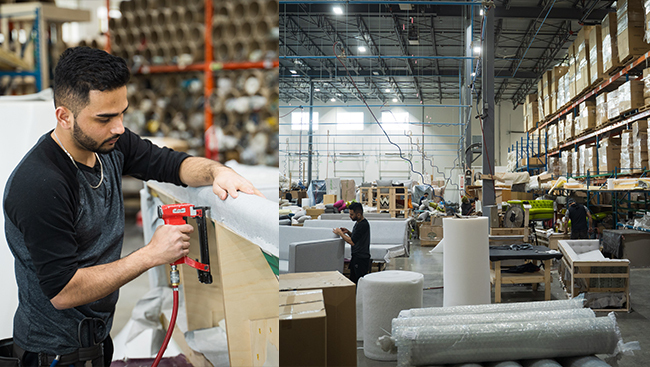 To achieve this goal, the team spent years learning and perfecting the art of building and upholstering furniture. As their skills improved, the quality of their work began to reflect this. 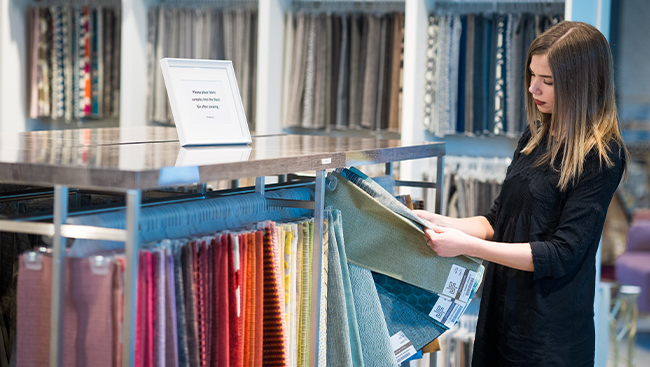 “We made the decision to source higher quality materials and shifted our focus towards a customer base that is focused on higher-quality products,” shares the proud CEO of the organization. Sure enough, after taking this risk, despite having to increase prices to compensate for the added quality, Van Gogh transformed its name and reputation in the industry. 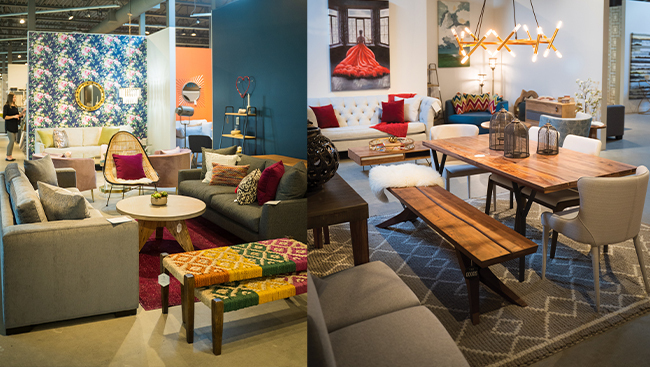 Today, Van Gogh Designs is a reputed and trusted brand in the furniture market. 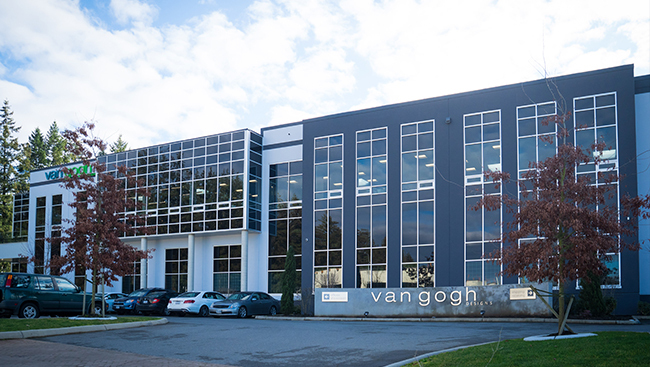 As the company’s clientele grew over the years, Van Gogh Designs recognized the growing demand and relocated in 2014 to its present 100,000 square foot facility in South Surrey. Although employees have come and gone over the years, whereas many have stayed since the foundation of the company, it is certain that great employees have paved the success of Van Gogh Designs. Today, a blend of experienced tenure employees work with fresh new minds and skills to effectively combine the knowledge and raw talent which helps the company grow and take on new challenges. Van Gogh Designs specializes in a variety of upholstered furniture such as sofas, chairs, beds, ottomans, dining chairs, and other sectional pieces. “Our customers appreciate the ability to customize a piece of furniture that suits their style preferences and will complement their home,” adds Dhindsa. Each piece of furniture ordered is a reflection of a customer’s creativity which is brought to life by a team of skilled, hardworking and dedicated people. 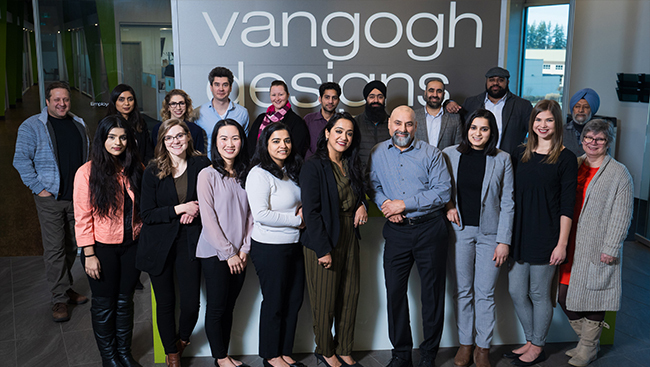 The staff at Van Gogh is committed to producing high quality products while ensuring exceptional customer service is provided from the beginning to the end of a customer’s purchasing experience. As living conditions change, the priority and preference of customers changes as well. 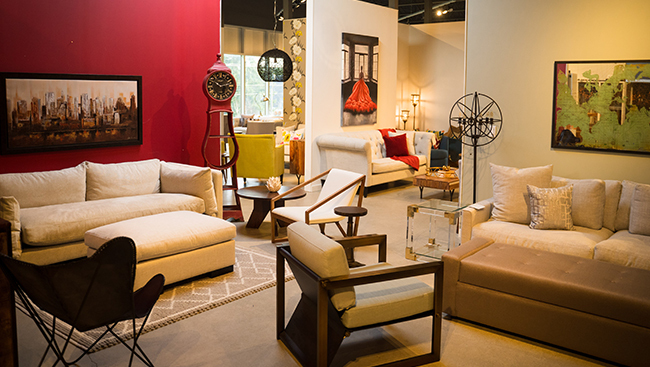 To stay relevant in a trend-based industry, the efficient team at the acclaimed furniture company always monitors fashion and lifestyle trends and designs new styles to complement those upcoming trends. 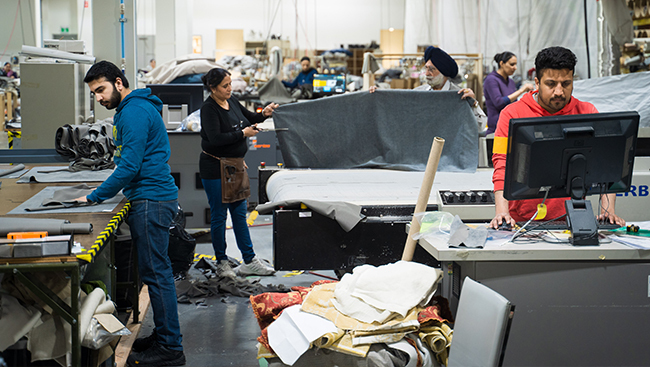 “A key factor that appeals to our customers is that we are always open to discussing new designs and customization ideas to better suit the new housing options and lifestyle choices of our customers,” says Dhindsa, further adding that his company introduces 15-20 new styles each year along with 100+ new fabrics. Some of the latest furniture trends, Dhindsa reveals, are velvet fabrics with bold colours, upholstered beds and headboards, deep tufting, channel backs, and deep-seated pieces. Van Gogh Designs truly appreciates the loyal, supportive customer base that has always encouraged their growth. “Together, we shared concerns when the economy was volatile, and celebrated the prosperous times together for 25 years, with hope for many more to come,” reflects the dedicated President. The future of Van Gogh looks very bright, as the company looks forward to continue to practice “the art of comfort.” Being a highly customer-focused business, Van Gogh hopes to continually innovate and improve on both products and skills, so that they can focus their attention on what the customer wants. “We would like our current customers and potential future customers to know that we understand the significance of purchasing furniture to complete that “at home feel” and want to share that journey with them,” expresses Dhindsa. The journey to success has been incredible for Van Gogh Designs, and the last 25 successful years, has resulted in many milestones and proud moments. “With the focus being on quality, design and listening to our customers’ feedback, we have been fortunate enough to celebrate our 25th anniversary last year, and will continue to serve the community with all their upholstered furniture needs,” says Dhindsa in conclusion. 1) First and foremost, think about the room your furniture is going into. 2) Take proper measurements of the entire space, doorways and elevators that furniture may fit into. 3) Consider where the furniture was made, and the material being used. 4) Select the style that best suits the room. 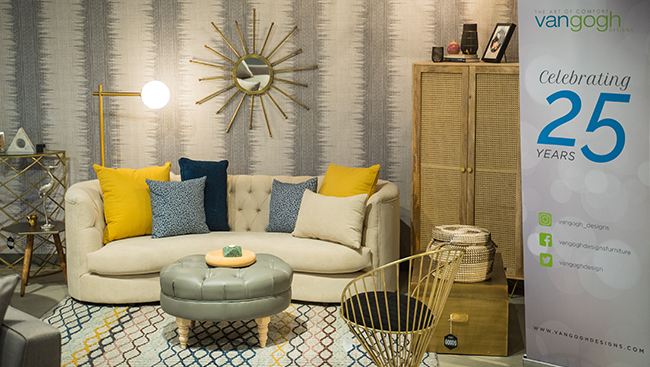 5) Consider looking for furniture in the fabric that complements the wall colours and décor. 6) Decide which seating option is best for you. For example, sofas can be made with soft, medium or firm foam, as well as feather wrapped seats. Sharn Bhinder, president and owner of Goldkey Life Insurance Services Ltd., has been in the insurance industry for over two decades. Nirwan Law is advancing into multidisciplinary services to meet the growing needs of its clients. 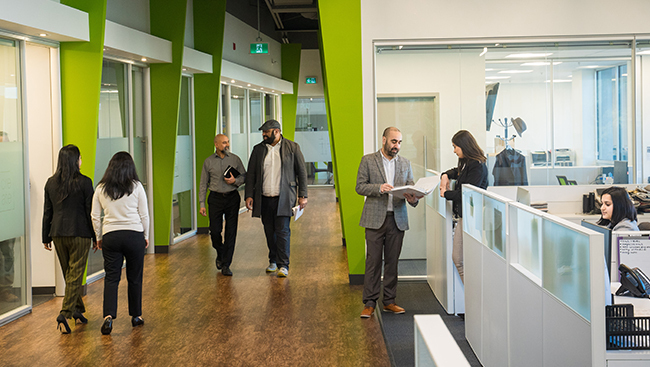 Kraft Mortgages Canada is founded by Varun Chaudhry and Gursharan Dhaliwal, who have over 20 years of professional experience in the mortgage industry. A mortgage brokerage licensed in BC, Ontario and Alberta, it focuses on buying, refinancing and renewing mortgages for qualified home buyers. An hour with Perminder Chohan will leave you feeling inspired, enlightened and wanting to find ways to be of service. Alungal Mohammed is a popular name in the Middle East. The Kerala-born businessman holds the positions of president, chairman and managing director of Al Abeer Group, a healthcare organization owning and operating high-end medical centers and hospitals across major cities in Saudi Arabia and surrounding nations. Gulzar Transport specializes in hauling containers, b-train loads, reefers, step decks, tractors, and dry vans all over Canada and in the US.